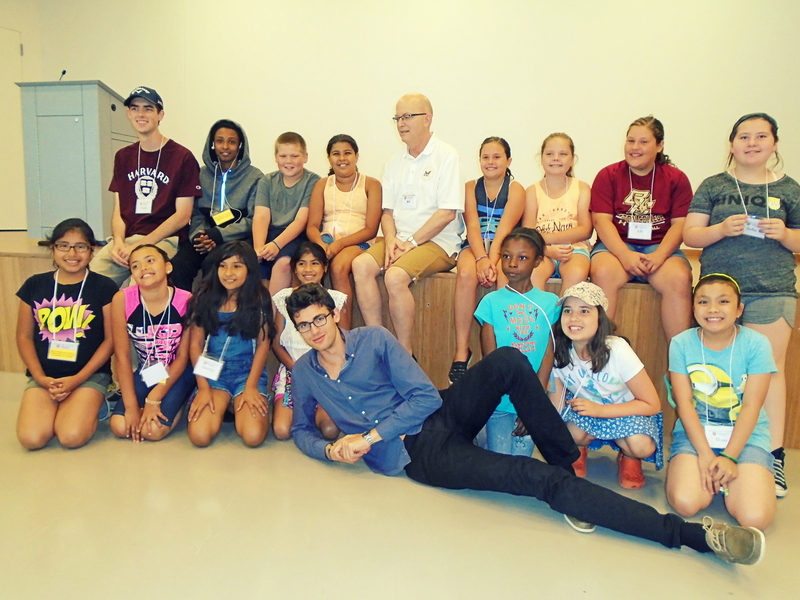 After graduating from Carleton College in June, I spent five weeks in Boston applying the Young Chefs curriculum in a range of different settings. 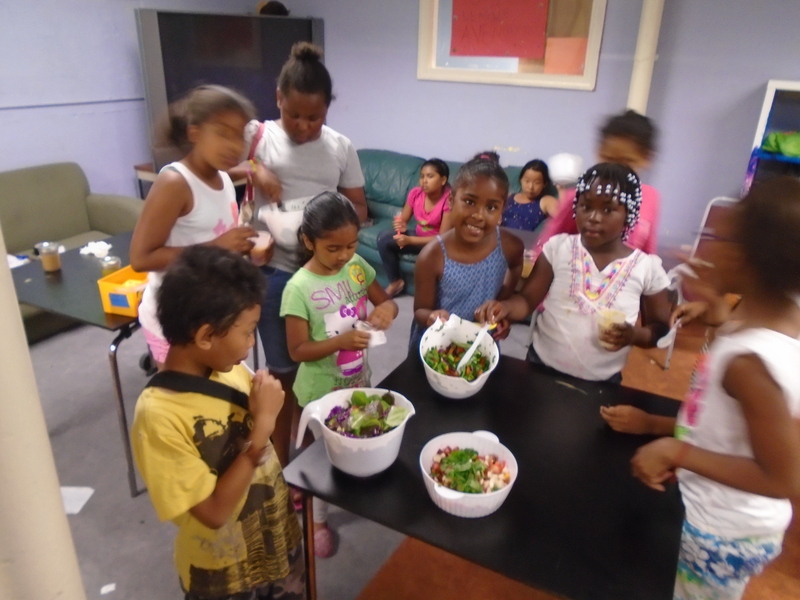 As the summer was just about to begin, I expected my involvement to consist of just a few cooking and science classes for youth in Boston. 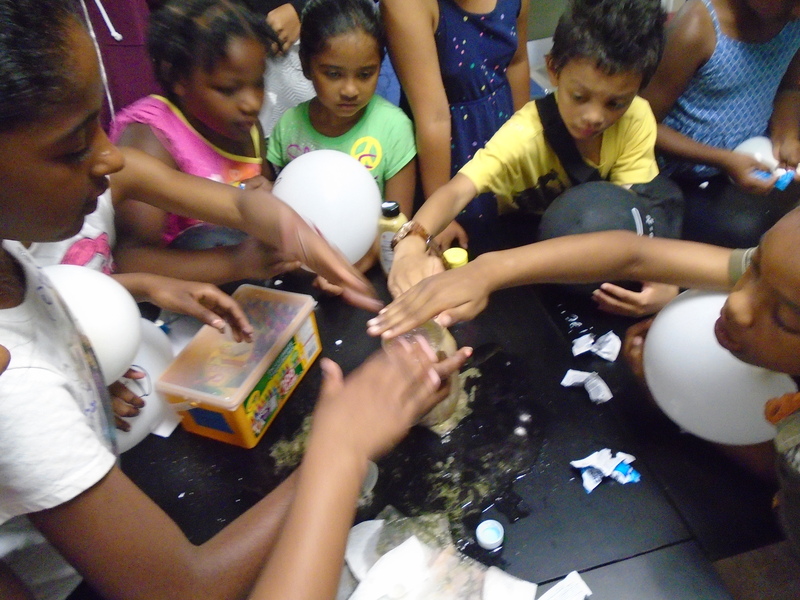 In retrospect, my experience did not just include many more events than expected, but also became a profound educational opportunity challenging my conception of myself as a scientist, educator, and world citizen. This blog post uses text and pictures to summarize some of the activities I participated in, and highlights my broader learning outcomes in a brief essay. THANK YOU SO MUCH to all the young chefs volunteers and people who have put in there energy and time to make this program and curriculum available! Thank you to Carleton College social justice fellowship, NYC BoE, and Harvard University DMS and SEAS for funding. The foods consumed on this planet are as diverse as the humans who inhabit it. Every region, country, and family seem to have their own way of preparing food, of transforming nature’s raw materials into nourishment and deliciousness. Yet, no matter where we are in the world or what the local food traditions and habits are, our motivation for eating is surprisingly universal. We eat not just to please our senses, but to get the proteins, energy, vitamins, and nutrients that enable our growth and reproduction, our very existence. 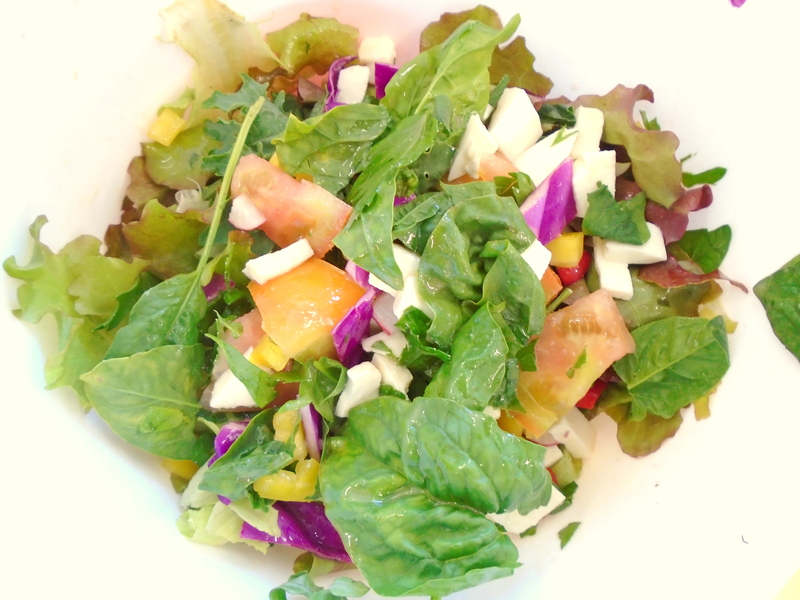 Diet provides us with the fundamental building blocks of life. In many ways, our diverse food habits reflect a shared human struggle of adapting to cultural and environmental conditions that vary all across the world, from north to south, from island to desert. We may need to consume the same molecules, but even in a globalized world, the sources of these molecules depended largely on what grows and is accessible. Food habits tell the story of humans trying to survive in different places. However, because we all strive to find the same molecules in our diet, foods across the world share many commonalities in terms of ingredients and processing methods, which also means that they hide many of the same scientific principles. For example, the nutrient-packed chokeberries traditionally consumed by the American Great Plains tribes have a similar pH-sensitive color compound to the red cabbage that was always a prominent C-vitamin source in Europe. The polymers that hold masa-based corn tortillas together are closely related to those that bind the traditional Ethiopian bread injera, in both cases lending structure and necessary fiber to these ostensibly unrelated flatbreads. The molecules give chili peppers hotness evolved for a similar reason to the pungent aromas in basil, rosemary, and other herbs; the proteins we cook in eggs and animal products all behave the same under heat. The examples are endless, but they all illustrate the same point: basic scientific concepts are universal, they can be found in any cuisine or cooking, but only if you look beyond appearance, texture, and taste, down to the molecular level. Breaking down food its molecular components opens new opportunities for education, allowing us to view the science of cooking in a new light. 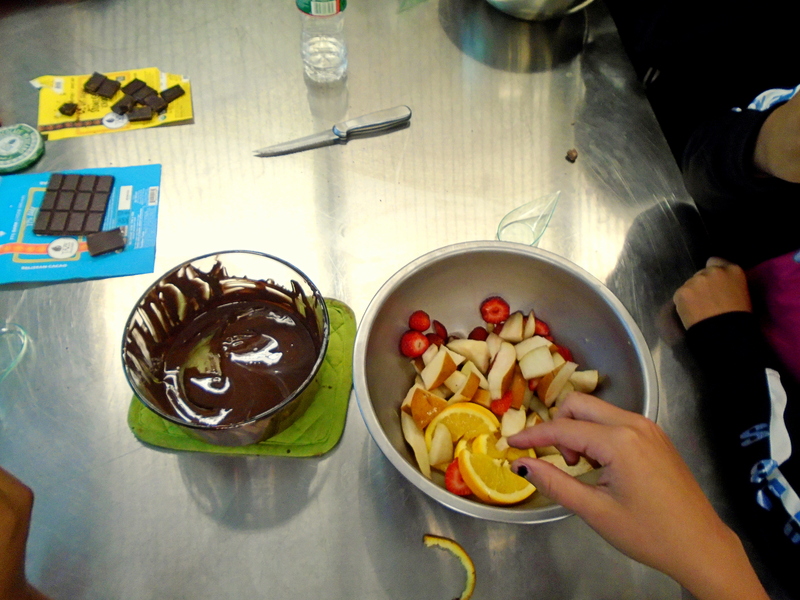 We teach science through cooking because we want people to experience science in everyday life. What I did not fully understand before this summer was that the term “everyday life” means different things for different people, because not all people consume the same foods or cook the same ways. 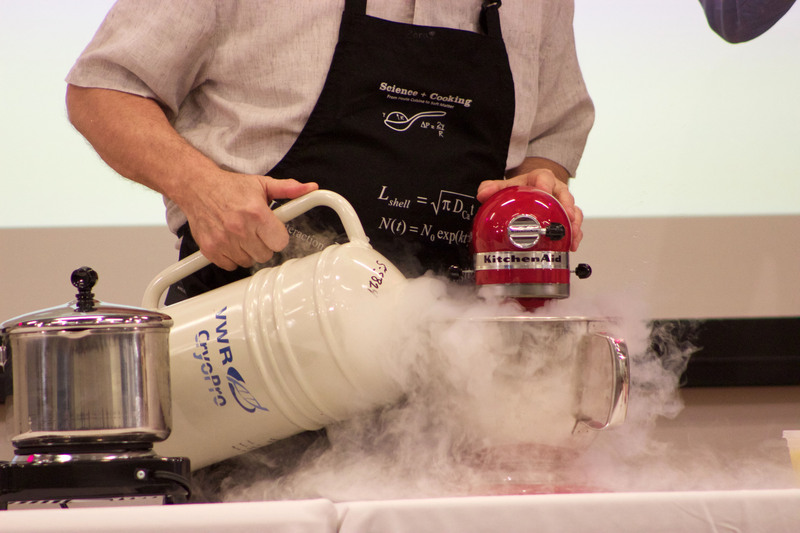 By acknowledging the universality of science in all forms of cooking, and by adapting the science and cooking education model to local and regional food habits, we can not only connect with existing traditions, but also make science truly approachable and accessible. Additionally, this makes education culturally sensitive, flexible, and adaptable, inviting people to find learning opportunities in everyday life. This means we can teach the concept of pH through chokeberries if we work with sioux communities, or through cabbage if we work with central european communities. 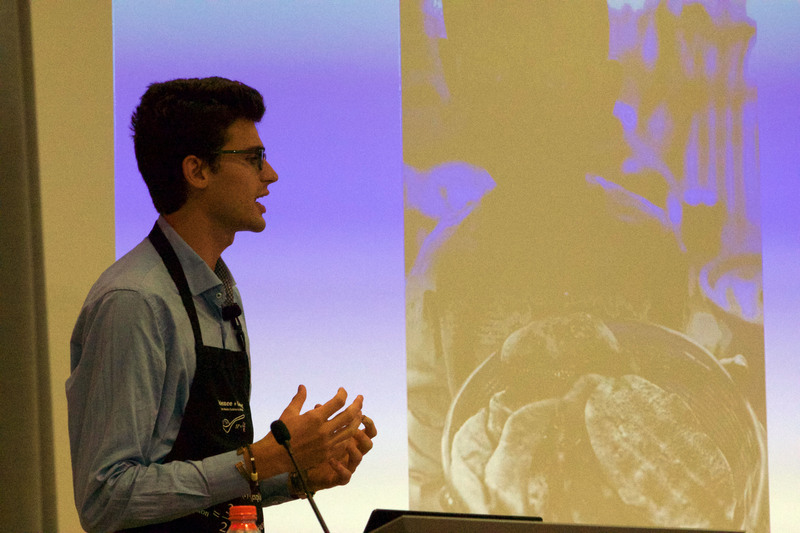 This means we can teach the concept of polymers through corn tortillas if we work with central american communities, or through Injera if we work with east African communities. This means we can teach the concept of plant evolution through spicy peppers in the American southwest, or through Holy basil, rosemary, fenugreek, in Asia. 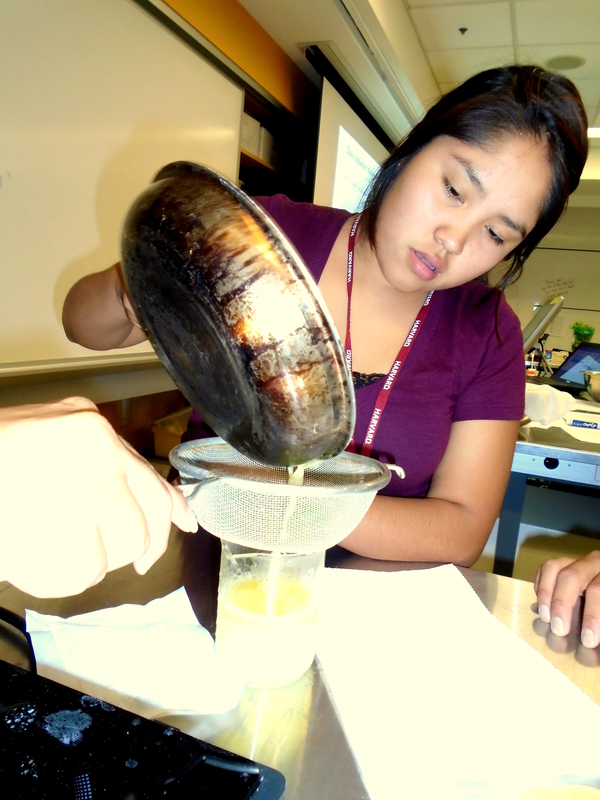 Simply, this means we can teach universal scientific lessons through local and culturally appropriate foods. With this in mind, our curriculum is not a matter of imposing new foods and ideas onto communities and individuals, but instead is about empowering people to take advantage of local knowledge to address local needs in cooking and science education. It’s about immersing ourselves in our human-ness to find new connections between cooking, science, and social change. It’s about looking around us and finding the beauty of nature’s FARMacy no matter where we are, who we are, and what we eat. They were at Harvard University to visit the NSF-sponsored Quantum Materials Center, and I tagged along in some of the meetings for a few days. Together with Kathryn Hollar (director of educational outreach at SEAS) and Bill Yosses, we discussed the intersection of biochemistry, nutrition, and indigenous foods, and how to connect the Young Chefs curriculum to some of their indigenous communities in Peru, the Pacific Northwest, Alaska, and Siberia. It was a privilege to learn from people who are so knowledgeable and doing such cutting-edge work, harnessing the best of ancient and modern knowledge to create positive change in the world. Here’s me sharing the Young Chefs curriculum with Jon and Mary Waterhouse. Very excited about the prospect of connecting our cooking and science vision with the foods and traditions of local communities, just as outlined in the essay above. While the food may vary, the science is always universal! This was a last-minute event set up at the Harvard Ed Portal. 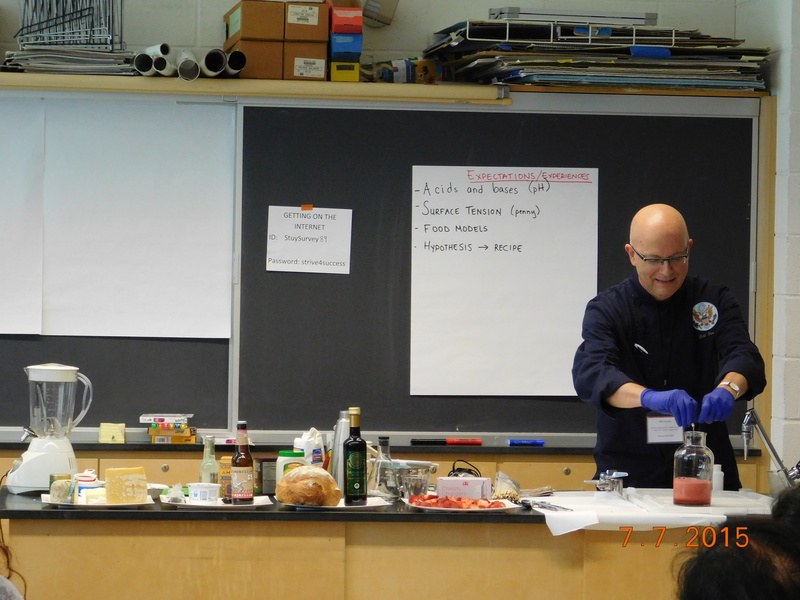 Bill Yosses was in town for our cooking-science classes at the Harvard Medical School, and the Ed Portal asked if we wanted to host a fun, interactive lecture on the science of food. At first, we thought we would just do our regular spiel with fun and sensational demonstrations, but after meeting Jon Waterhouse, we changed our approach entirely. The focus of the talk was on nature’s FARMacy, on how modern science can illuminate and help us understand ancient food traditions developed over centuries by trial and error without molecular tools. In this case, we specifically focused on the chemistry and physics of Salep Dondurma, a special Turkish ice cream made stretchy by the addition of specific natural polymers. 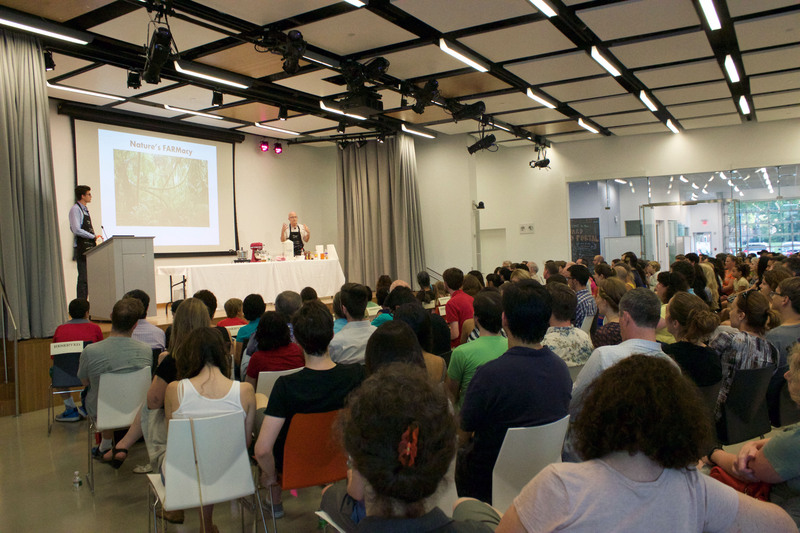 To our surprise, 350 people showed up for the event, with over 60.000 people watching the live-stream online (they were all participants in the HarvardX Science and Cooking class). 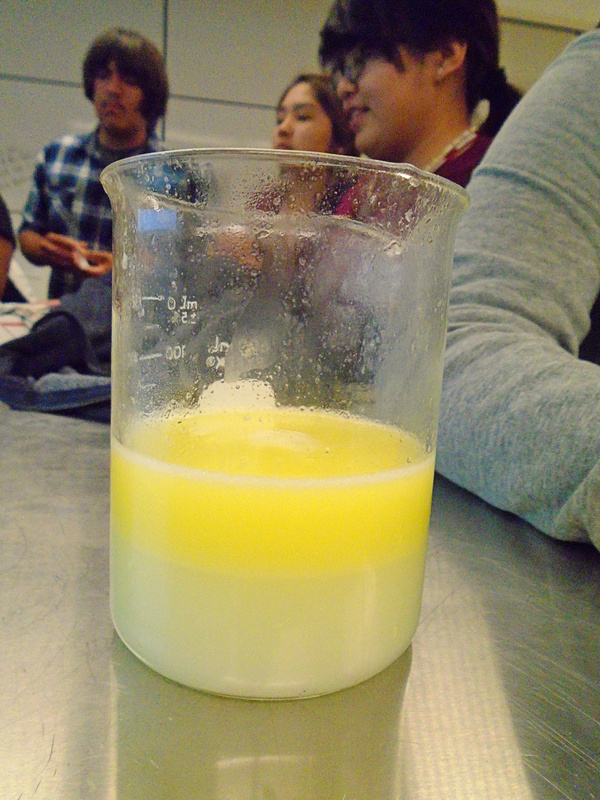 We spent a lot of time talking about the Young Chefs curriculum and demonstrated some of the things we explore in the lessons, such as density, aeration, and acid-base interactions. The full lecture can be found online HERE. 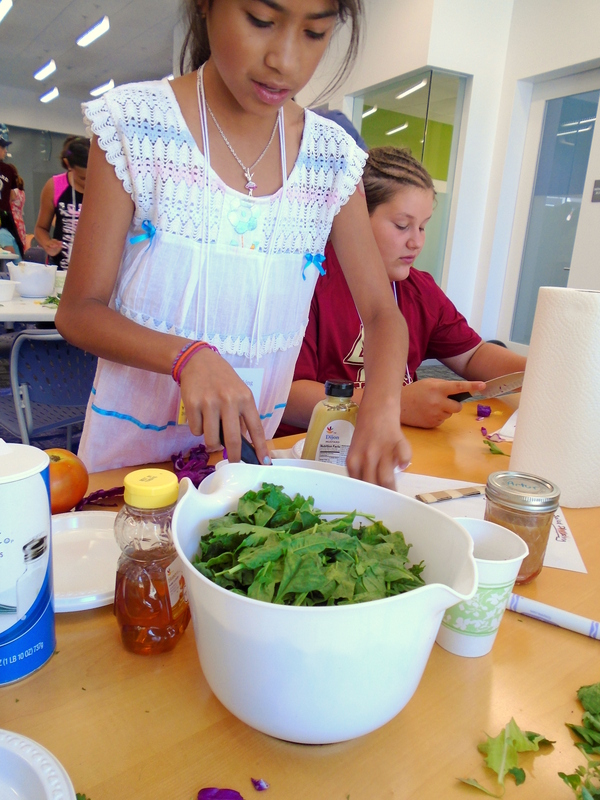 We continued on the modern vs ancient knowledge track for our classes with the students and teachers in the Native American High School Summer Program (NAHSSP) hosted at Harvard Medical School, again working closely with community partners to adapt our lessons to their needs and food traditions. 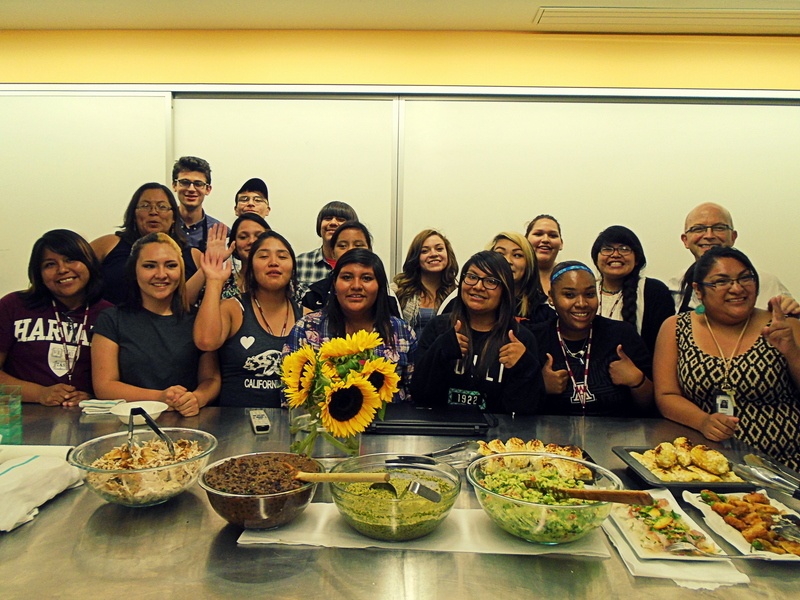 As a collaborative effort among the Hopi and Fort Peck Native communities and Harvard Medical School, this is a three-week summer program where high school students, teachers, and community representatives come to Harvard Medical School to learn about the science behind problems they may encounter in their home communities, such as substance abuse, addiction, and domestic violence. This year they wanted to bring cooking and nutrition into the mix, as diet-related health problems are rampant on the reservations. 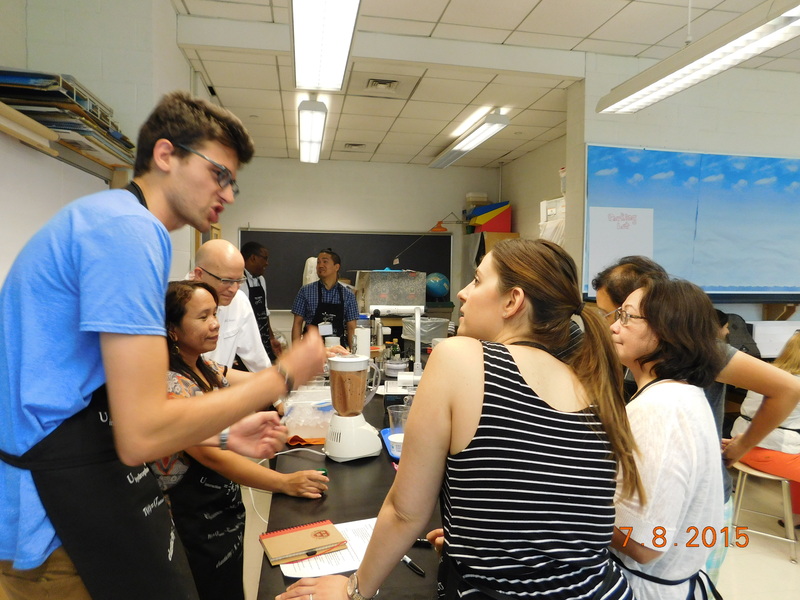 I and Bill Yosses worked with the teachers and students to create a week long bootcamp focused on the science of three indigenous foods: chocolate, chili, and corn. In the chocolate lesson, we explored the rich cultural heritage of the cacao crop and the science and history that make chocolate possible (based on Young Chefs lesson). In the chili lesson, we learned about the evolution, neuroscience, and chemistry of capsaicin, the molecule that make peppers hot. 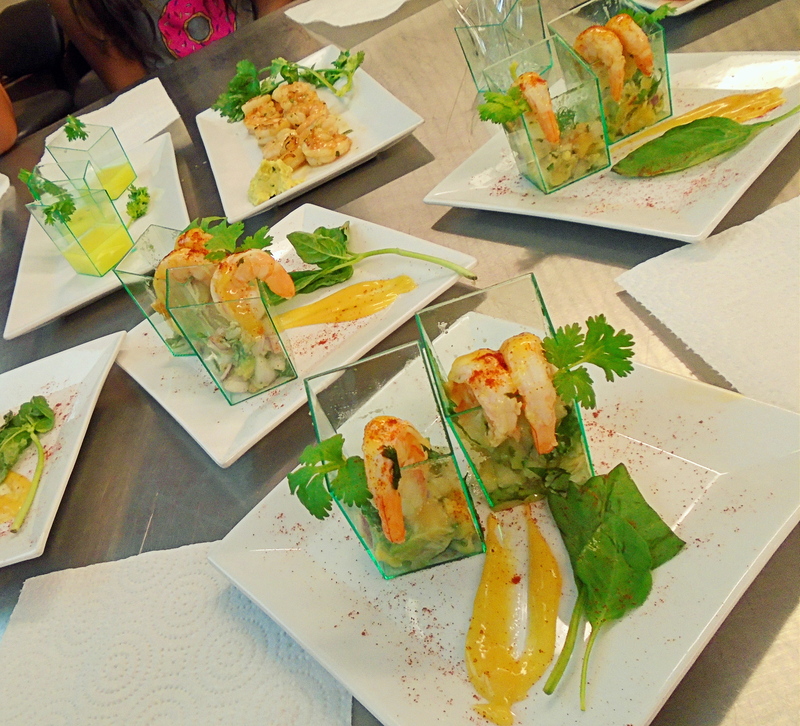 This lesson culminated in a shrimp cocktail, challenging students to bring out their creative spirits. The chili lesson is also available online through Young Chefs. 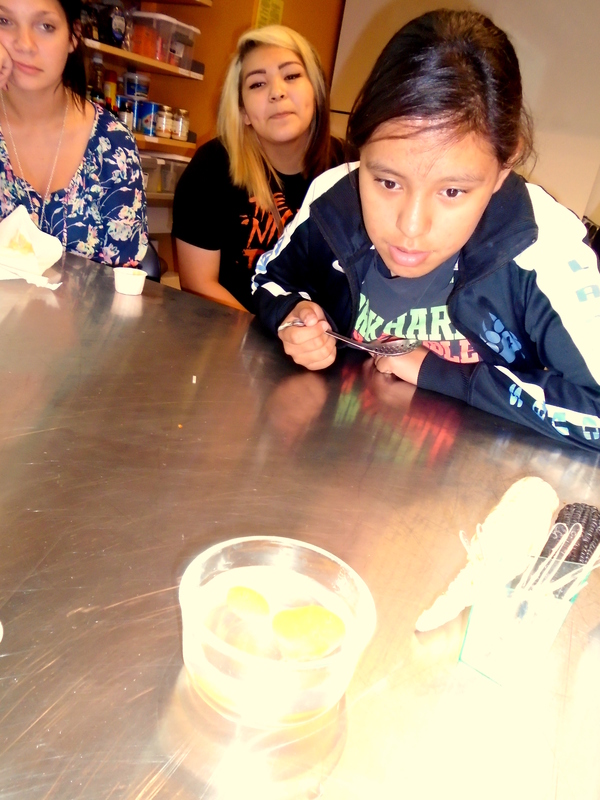 The corn lesson centered around the science of corn evolution, growing and preparation, focusing on starch gelatinization through a tortilla experiment. 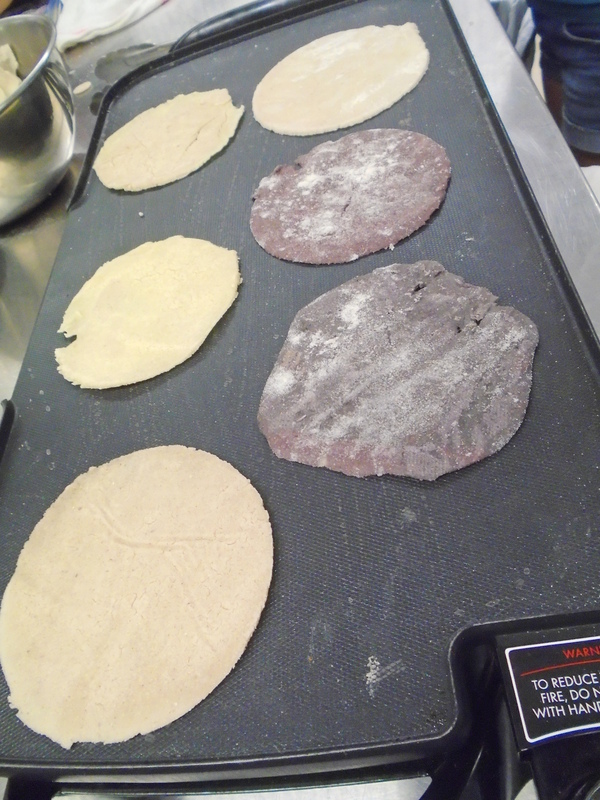 Corn is a staple food in Hopi culture, and we were lucky enough to use some of their drought-resistant protein-rich and incredibly delicious blue corn as we made tortillas (the corn lesson is in development and should be published on this website soon). The bootcamp ended later in the week with a massive feast themed around chocolate, chili, and corn, featuring dishes such as Cuban chipotle-chocolate black beans, elote, lobster ceviche, habanero guac, and more. 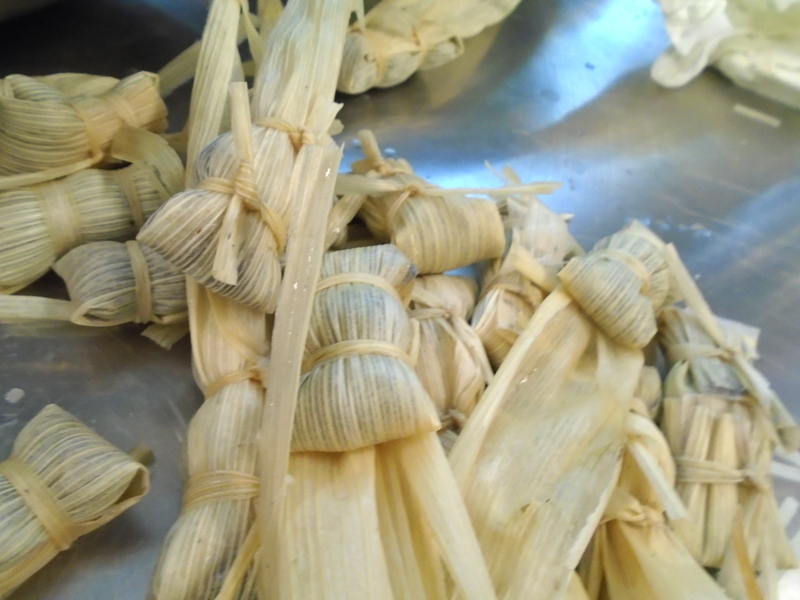 The most unique feature of the dinner, however, was somiviki, a traditional Hopi blue roasted corn paste steamed in the corn husk, crafted beautifully with love and skill. Definitely one of the best meals I have had in my life. 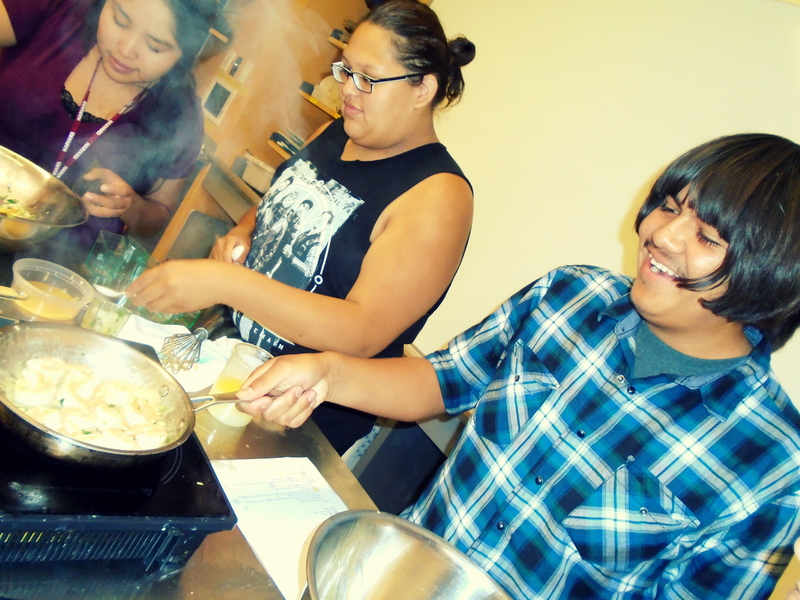 We will keep collaborating with NAHSSP next summer, and are working closely with the Fort Peck and Hopi communities to bring the Young Chefs curriculum to their youth in an effort to highlight their rich cultural heritage, while also addressing inequalities in health and education. Me and Bill are likely returning to Fort Peck this fall to work with the students in the buffalo summit, an event that brings together thousands of community members to celebrate the central role that buffalo has played and continues to play in the Sioux and Assiniboine tribal culture. We are also hoping to travel to Hopi soon. This was a weekly occurrence sponsored by the Harvard John A Paulson School of Applied Sciences and Engineering. Together with Mathematics teacher and rising senior at Stone Hill College Frankie Mooney, I helped organize and run weekly hands-on cooking science lessons for 20 underserved elementary school youth at each location. 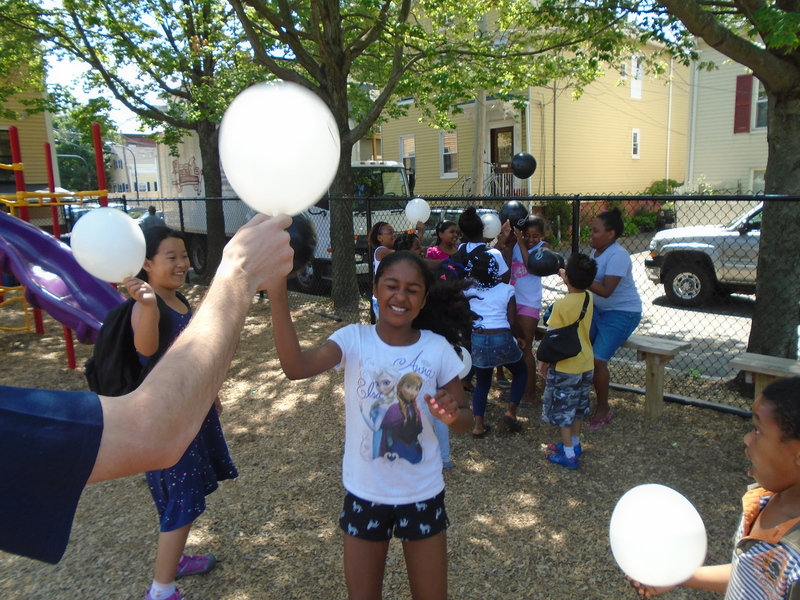 We worked closely with the community partners in the beginning of the summer to decide what specific lessons and activities would best suit the needs of the students, and we ended up using mostly Young Chefs lesson plans. 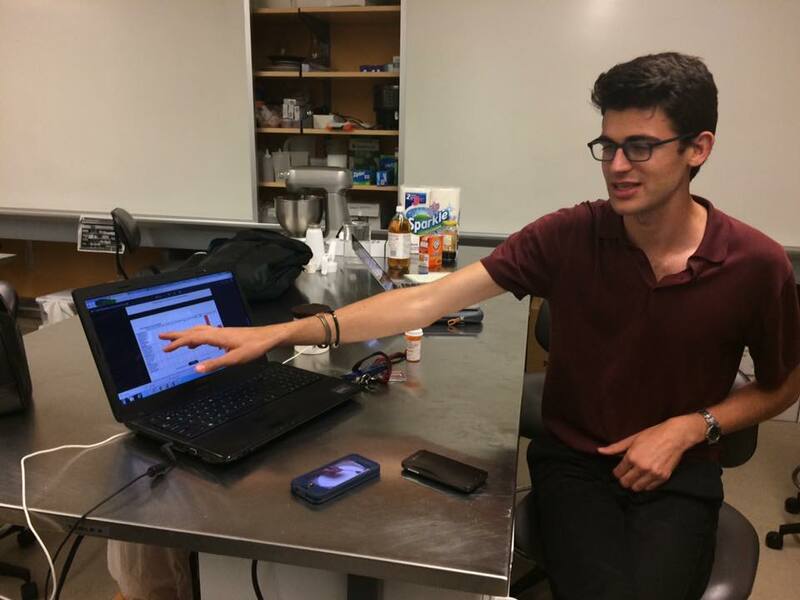 For example, we spent one week learning about density, another week exploring emulsions, and also learned about chocolate, aeration, bread, and more. 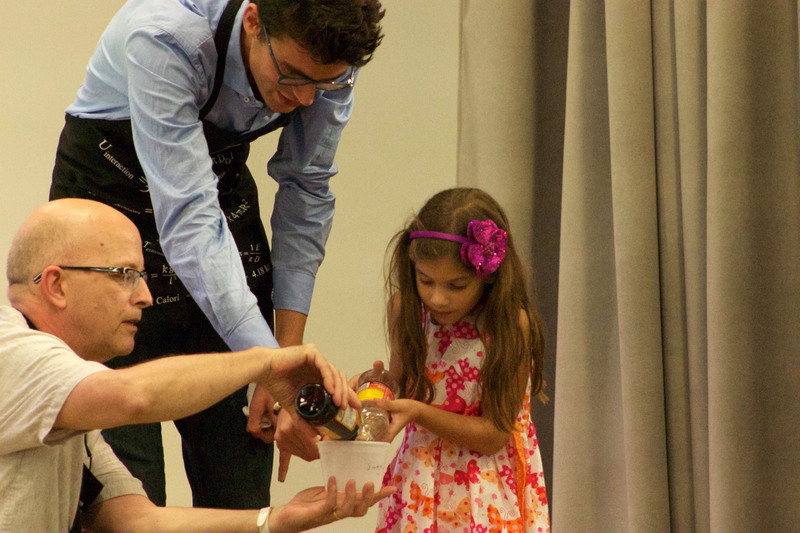 This was extremely fun, and was the first time the Young Chefs curriculum was seriously tested with elementary school children. It was exciting to see how well it worked, highlighting the flexibility of our resources in terms of age ranges and skill levels. Our weekly experiences with the students helped us refine and optimize the Young Chefs lessons further to make them easier to follow and more strategically targeted at student learning. All lessons on the website were updated accordingly. 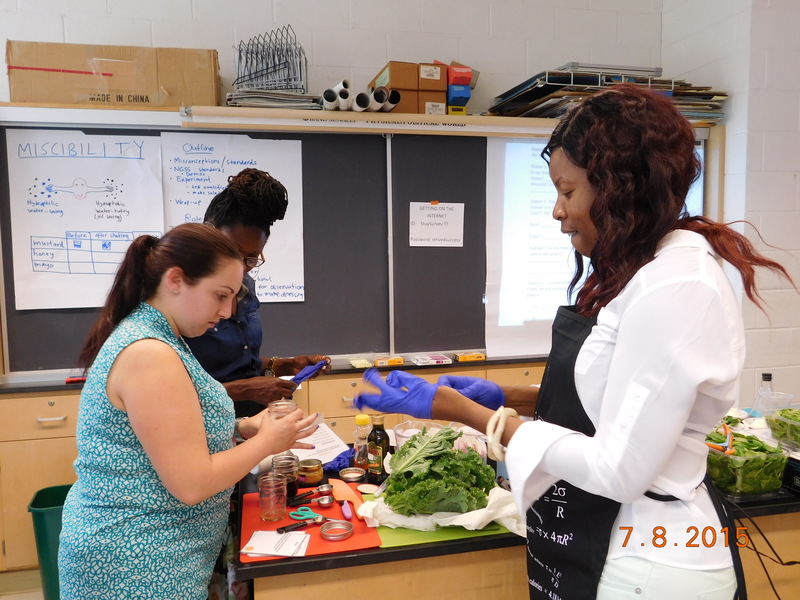 While Young Chefs has led many projects relating directly to student learning, this summer opened an opportunity to instead train other educators in using the curriculum in their classroom. 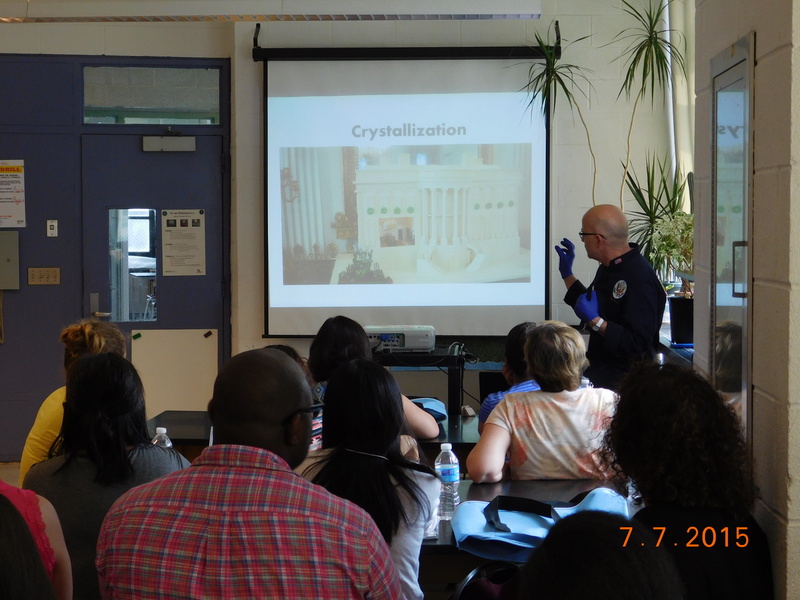 Funded by the GE foundation and run by the NYC Department of Education (largest public school district in the country), the STEM Institute provides teachers and school leaders with professional learning opportunities, allowing them to work directly with experienced STEM partner organizations. Nearly 300 teachers and school leaders representing 100 schools attend each event, and receive continuing support in planning and implementing innovative STEM instruction in their schools before and during the upcoming school year. This was the second institute ever, but it was the first time they offered cooking-science curriculum training for the teachers. Spearheaded by Bill Yosses, our three-day workshop featured 30 public school teachers, engaging conversations, and wonderfully delicious food. Our workshops were set up as if the teachers were the students, walking them through the entire lesson plan step by step, with strong focus on discussion and evaluation during the process. The teachers worked through the density, emulsions, eggs, and steamed buns lesson, and collaborate in groups to improve and evaluate each lesson based on their extensive experiences in classrooms. This helped us refine and revise the materials as the institute progressed. 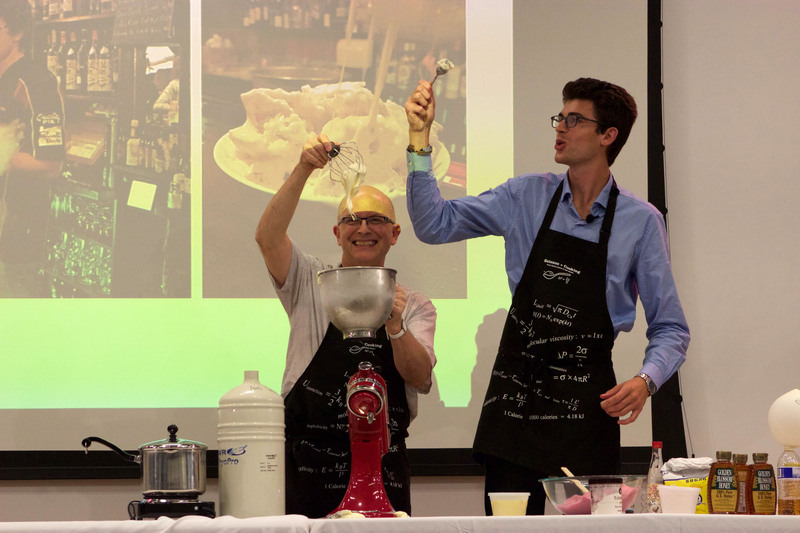 In addition, we built in time every day for teachers to work in groups and develop a draft of their own entirely new cooking-science lesson, combining their experiences from our workshop and their experiences teaching. 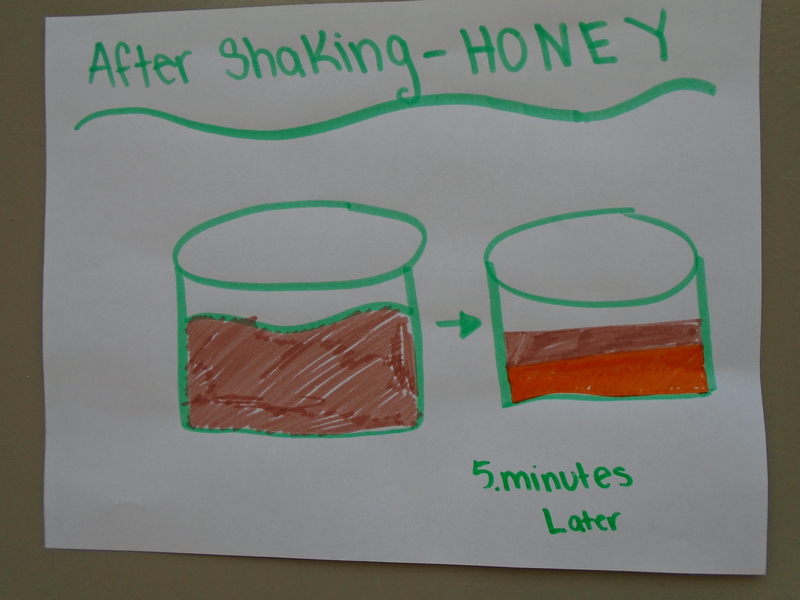 The result was five well-produced, elaborate lesson plans exploring everything from molecular solubility to nutrition, social studies, and algebra. Most teachers will try to use either one of these lessons or one of the Young Chefs lessons in the fall, and we are excited to keep up this relationship to bring cooking to NYC public school classrooms. We are re-convening with the teachers at the 2016 Spring STEM Institute to further exchange our ideas and knowledge. 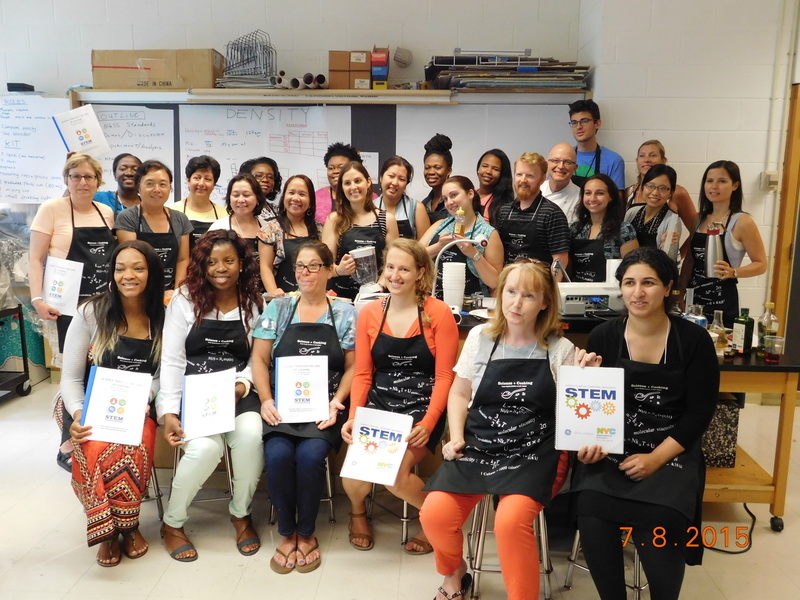 Overall, it was a tremendous privilege to spend so much time with teachers who are addressing misconceptions and gaps in STEM every day; this helped us improve our own Young Chefs resources, which are now available in their updated forms on this website. More importantly, this event represented a milestone in the development of Young Chefs, as we progress towards a potentially even more impactful educational model: training other educators to teach our curriculum to students, instead of stretching ourselves to do it all. The future of global food production will mandate a paradigm shift from traditional practice to resource leveraged and environmentally optimized urban food growing solutions. 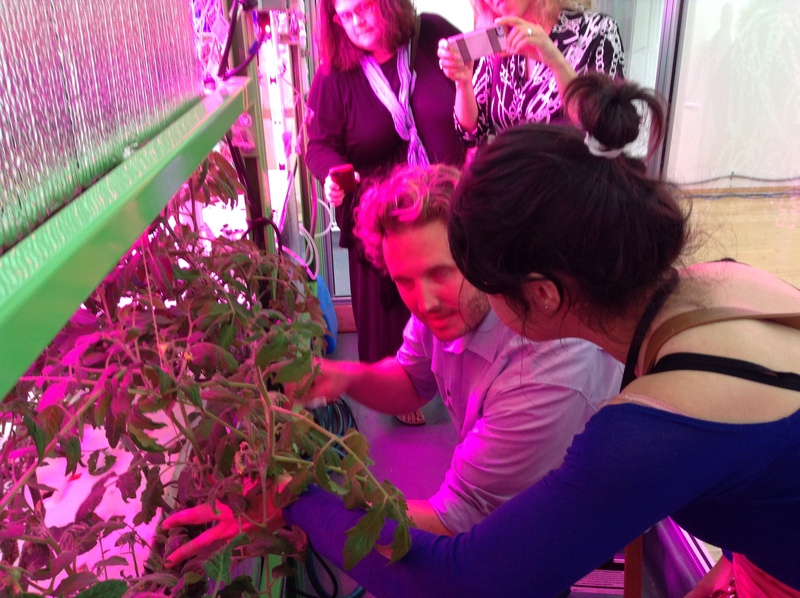 The MIT CityFARM is an anti-disciplinary group of engineers, architects, urban planners, economists and plant scientists exploring and developing of high performance urban agricultural systems. 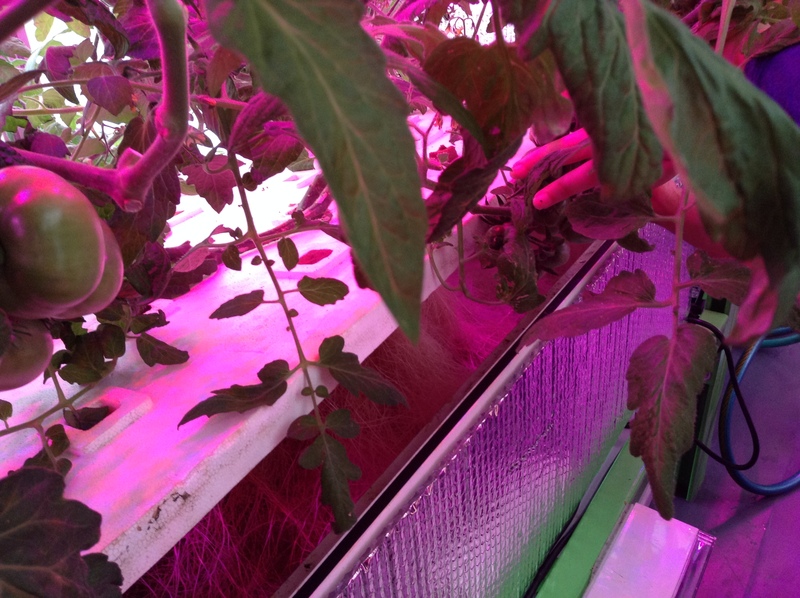 Through innovative research and development of hydroponic, aquaponic and aeroponic production systems, novel environmental, diagnostic and networked sensing, control automation, autonomous delivery and harvest systems, data driven optimization and reductive energy design; MITCityFARM methodology has the potential to reduce water consumption for agriculture by 98%, eliminate chemical fertilizers and pesticides, double nutrient densities and reduce embodied energy in produce by a factor of ten. 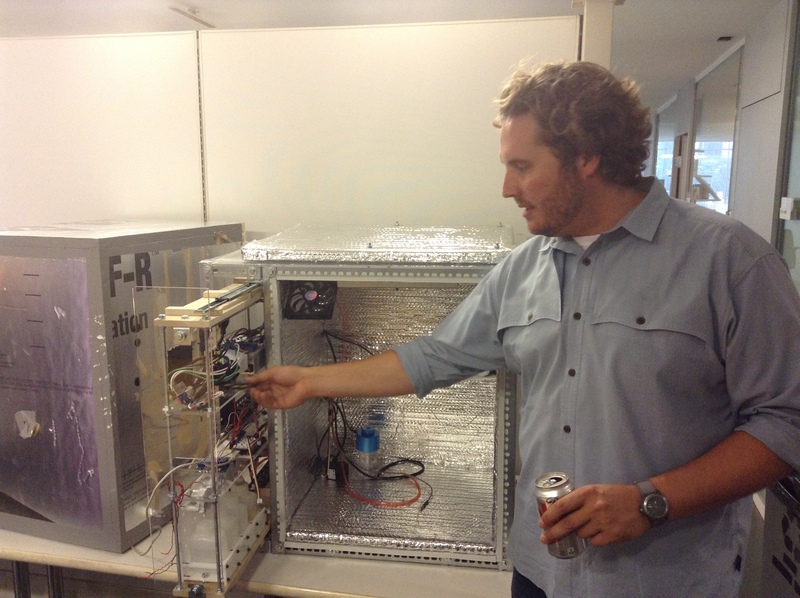 I had the opportunity to visit and meet with the founder, Caleb Harper, exploring how to integrate their portable growing devices into the Young Chefs curriculum, eventually giving students the opportunity to learn about the science of food as it develops from the seed to the plate. 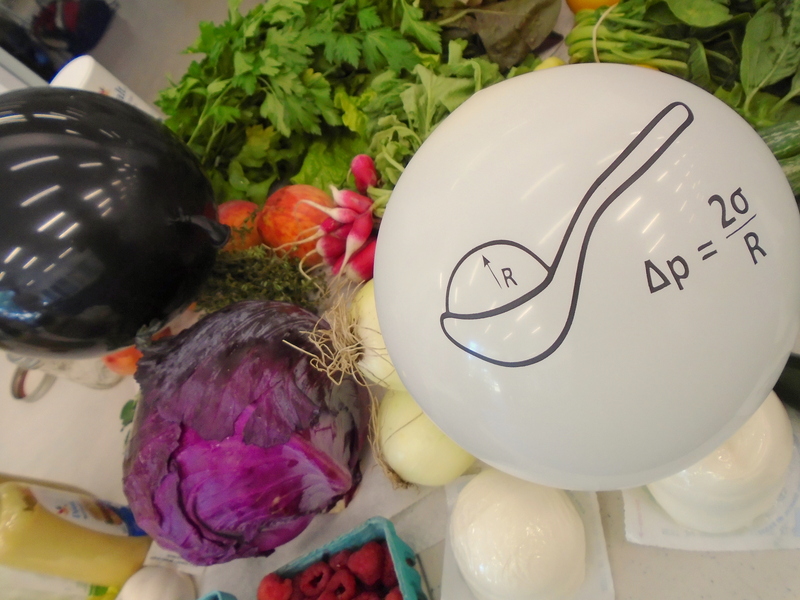 I am very excited to see where this might go, as our resources are both open access and center on a shared commitment to food and science literacy in the next generation. The so-called “Gro-bots” that they have are surprisingly affordable, with their price coming down to $300 in the foreseeable future.